August 6, 1997, Lawrence, KS. 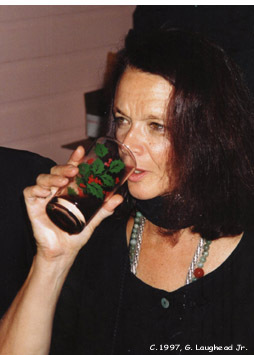 Anne Waldman was director of the Poetry Project at St. Mark's Church in-the-Bowery, NYC. With Allen Ginsberg, she founded the Jack Kerouac School of Disembodied Poetics at the Naropa Institute in Boulder, CO.